The Cyberpunk Technical continues into it's 23rd year with hi-tek and lo-tek articles from all their classic writers. 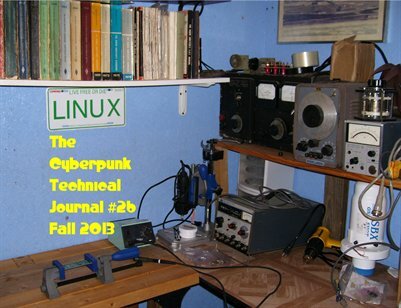 In this issue: Lock hacking, 303 Cyberpunk Con, BIY lab building, lo-tek, Wildflower's Notes, and survivalist stuff. Since 1990!